Untimely loss of a revolutionary actor. 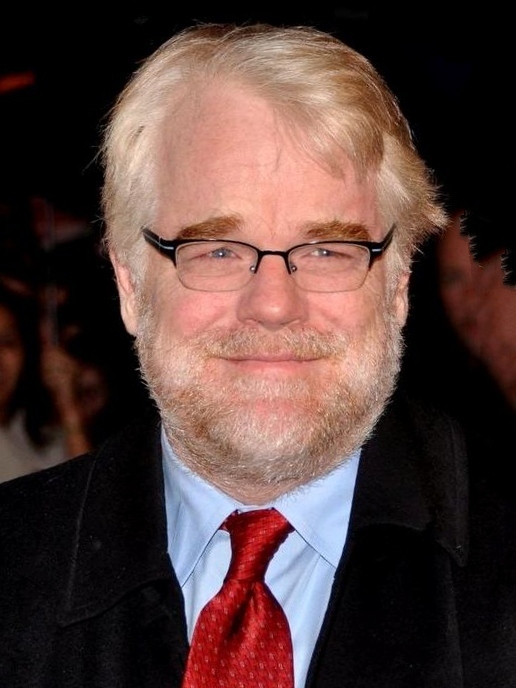 Philip Seymour Hoffman was an American actor, director, and producer. He was prolific in both film and theater from the early 1990s until his death in 2014 from a drug overdose at age 46. In 2005, Hoffman portrayed the author Truman Capote in Capote, for which he won multiple acting awards including the Academy Award for Best Actor. His three other Oscar nominations came for his supporting work playing a brutally frank CIA officer in Charlie Wilson’s War (2007), a priest accused of pedophilia in Doubt (2008), and the charismatic leader of a nascent Scientology-type movement in The Master (2012). As we grieve for the loss of a man The New York Times declared “perhaps the most ambitious and widely admired American actor of his generation,” let’s explore the qualities of personality that made Philip the enigmatic man who strived to make us identify with the worst inside ourselves. Great character actors like Hoffman subsume themselves in the personality, soul, even looks of the person they are playing, as he did in his Oscar-winning performance as Truman Capote in Capote, “almost seeming to shrink to the writer’s diminutive frame.” The ability to turn inward is the hallmark of the turtle (introverted type). [Review Personality Traits] Turtles are inwardly focused, enjoy solitude, must understand life to live it, value ideas and principles, tend to think before acting, and are guided by internal values. As an actor, Hoffman enveloped the life of his characters. He became them, and he was particularly deft at portraying the dark side of human nature. His performance as a gambling addict in Owning Mahowny (2003) is referenced in the book Movies and Mental Illness: Using Films to Understand Psychopathology as one of the greatest performances of gambling addiction in movie history. Psychics (intuitive types) are intuitive, imaginative, inventive and original, interested in possibilities and trusting in impressions. Can there be any doubt that Hoffman was a psychic? His childhood passion was sports, but at age 12 he had a significant intuitive experience when he saw a stage production of Arthur Miller’s All My Sons. He recalled in 2008, “I was changed—permanently changed—by that experience. It was like a miracle to me”. Tony Greco, an acting teacher that first worked with Hoffman when the actor was 17 years old, says of Hoffman as a student, “he was really a mess, but an absolutely creative mess. He was willing to journey to very complicated places.” Hoffman will be remembered as one of the great actors of all time because he was determined to be original rather than conform to “movie character” stereotypes. Another indication that Hoffman was a pointy head is the pleasure he took in talking shop. He was widely regarded as friendly and accessible—to other actors, particularly young actors. Instructor Greco recalls, “More than once I’d hear from a student, “I ran into Phil on the street, I said, ‘I’m in your class,’ and he talked to me about acting for an hour.” We would guess that Hoffman was not much for small talk. Hoffman was systematic and organized in his extensive research for his roles. When preparing for his Oscar-winning performance of Truman Capote in Capote (2005), Hoffman studied hours of audio and video of the iconic writer. With each portrayal, Hoffman mastered Capote’s tone of voice, personality, body posture, mannerisms—he fully occupied Capote’s body and mind. A psychic, pointy-headed tyrant turtle is a Revolutionary (INTJ). As the name implies, Revolutionaries refuse to conform to the expectations of society and are driven to change the world in some way. Revolutionaries have intellectual clarity. They accurately interpret their intuitive perceptions. They have visionary insight. Hoffman’s struggles with addiction, which ultimately resulted in his tragic death, were well known. In a 2006 interview with CBS’ 60 Minutes, he was unabashed about his appetites. “It was everything I could get my hands on,” he recounted of his early alcohol and drug use. “I liked it all.” Hoffman entered rehab at the age of 22—suggesting that he was a substance abuser in his early teens. When graduating with a degree in fine arts from New York University, Hoffman was also graduating from rehab. Asked why he decided to stop, Hoffman told Steve Kroft on 60 Minutes, “I was 22 and I got panicked for my life, and I always think, God, I have so much empathy for these young actors. They’re 19 and all of the sudden they’re beautiful and famous and rich. I’m like, oh my God, I’d be dead.” Hoffman later maintained he had been sober the next 23 years. In 2012, during a wrap party for his film The Master, Hoffman accepted an alcoholic beverage to celebrate the completion of the film, resulting in a relapse. He began using prescription medications months later. He started using heroin in 2013, and admitted himself to drug rehabilitation for approximately 10 days in May of that year. Hoffman’s reputation for tireless work, perseverance and relentless focus on perfection of his craft seems inconsistent with the two periods in his life when he was unable to control his pursuit of pleasure through substance abuse. We wondered whether his personality type might offer any clues into this seeming paradox and found this—when stressed Revolutionaries often take on an obsessive overindulgence in sensual pleasure. 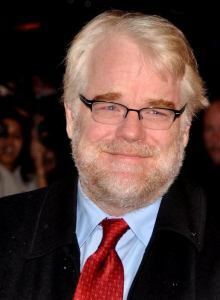 Hoffman faced family stress when his parents divorced at age 9 and during the period preceding his separation from his partner, costume designer Mimi O’Donnell, and their three children in December 2013. We will never know whether this explains Hoffman’s tendency to lose self-control with drugs and alcohol. But we hope his story helps parents and friends of other Revolutionaries spot the early warning signs of stress-induced over-indulgence and take the necessary steps to save a life. To conclude on a happier note, the Revolutionary moniker reminds of us a role where Philip played a revolutionary on film—that of the American disc jockey “The Count” in Pirate Radio. The movie was a box office failure and Hoffman received no acclaim for his role, but who can forget his brilliant performance in the “F word scene”? We will miss you, Dr. Hoffman.